Remember, I'm talking about small-medium sized businesses. Not large enterprises. Small to medium sized businesses. Most of the prospects we meet with do not have a full time marketing person, let alone department. It's usually a task thrown on the sales person or sales people, or a random person in the organization, like the HR Manager. The obvious issue is that none of those titles are the best solution for a marketing effort, especially the latter. The nature of sales people is not well suited for marketing. They want to close. They want the sale. 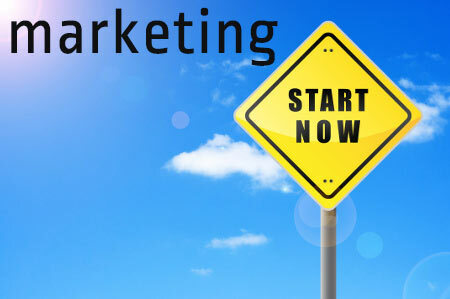 Obviously a marketer wants to generate sales as well, but they are also highly motivated to generate new leads, and nurture them into qualified prospects. Because there isn't a dedicated marketer, the businesses lacks true marketing expertise to drive marketing efforts, so they don't happen. I've talked about this before, here. This one often ties in closely to #1 above. If the company does have a marketing person, there's little excuse for not consistently marketing. The number and frequency of tactics may be an issue, but consistency should not. Because time is always an issue, a solo marketer or a non-existent marketer has to be selective about their tactics, and the web is an obvious top choice for most businesses. Yes, it gets said. I am almost speechless when it happens, but it does. These companies often have a set client base that they have "always" had and have lost some of the hunger to continue to grow. You know what's great incentive to start marketing? Losing one or two of those clients. It doesn't take long for one of these companies to enter panic mode and say, we need to market! We need to replace that client! Unfortunately, that's a terrible time to START marketing. One, you are now missing some key revenue. Two, you a rushing a marketing process that shouldn't be rushed. Three, you are too quick to judge the effectiveness of your rushed marketing efforts.